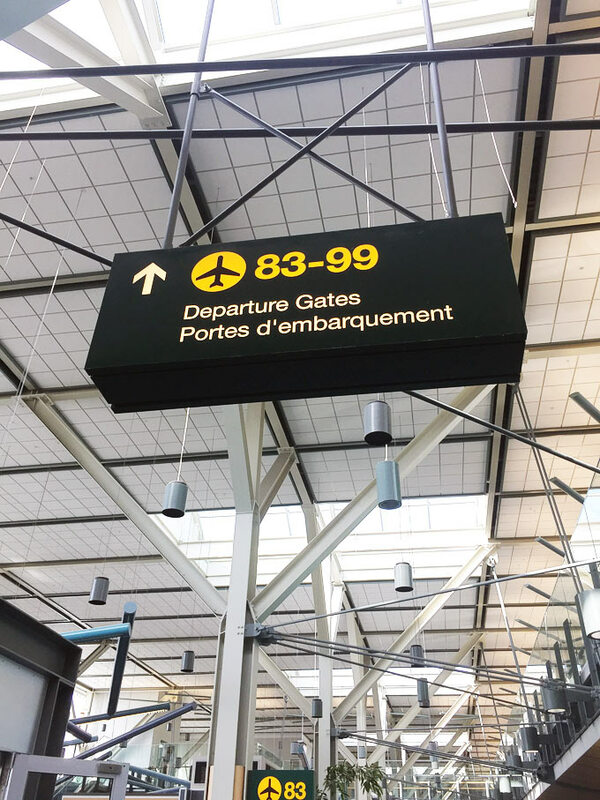 It had been several years since I’ve flown to the US (we usually just drive) so it was exciting to check out the International Terminal at YVR before my flight to LAX recently. 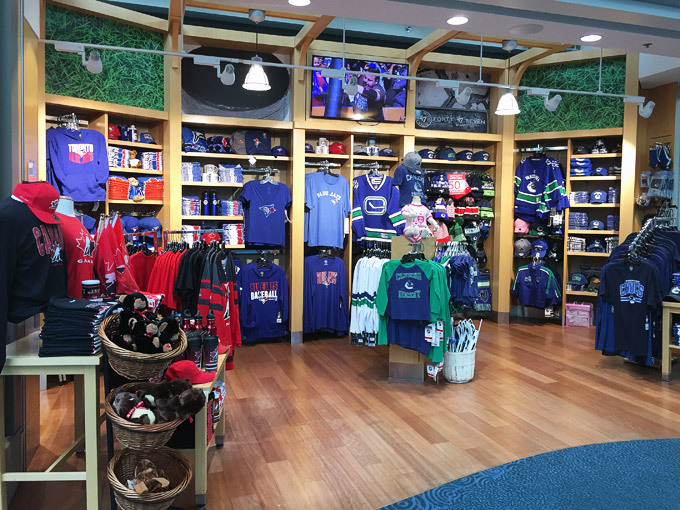 Here are some highlights during my walkabout in Pier E of the terminal where most of the US-bound flights from YVR operate. 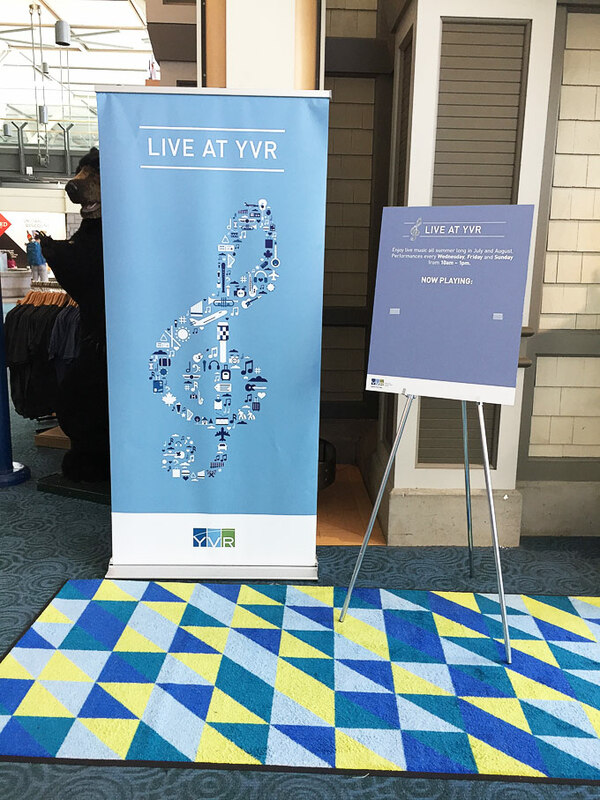 Live at YVR is happening all summer long where travelers can enjoy live music performances every Wednesday, Friday and Sunday from 11 am – 1 pm. 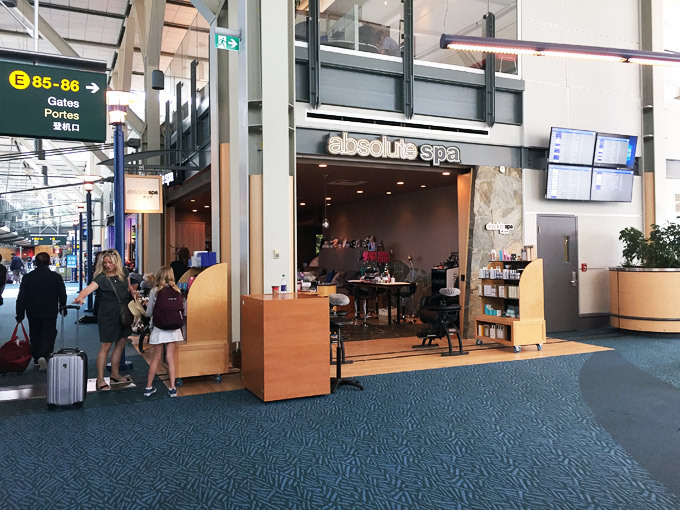 Absolute Spa is one of my favourite spas in Vancouver and their YVR location offers esthetic, massage, hair styling and more. 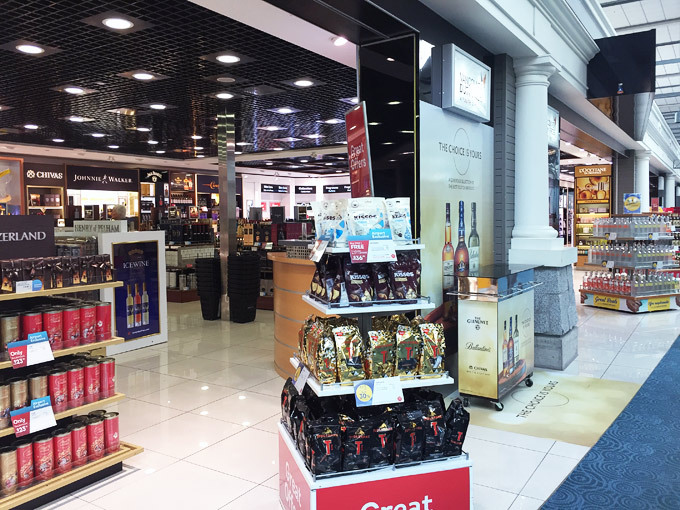 If I had arrived a bit earlier, I might have indulged in a pre-flight massage myself! 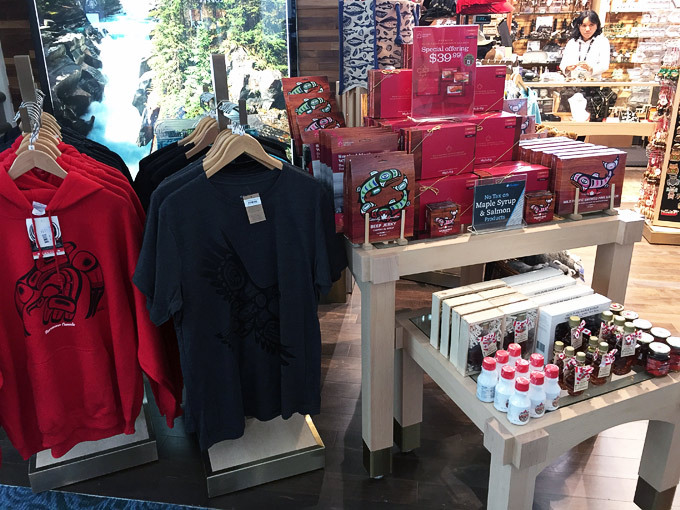 There is a variety of stores where you can pick up local products, souvenirs and travel retail products. 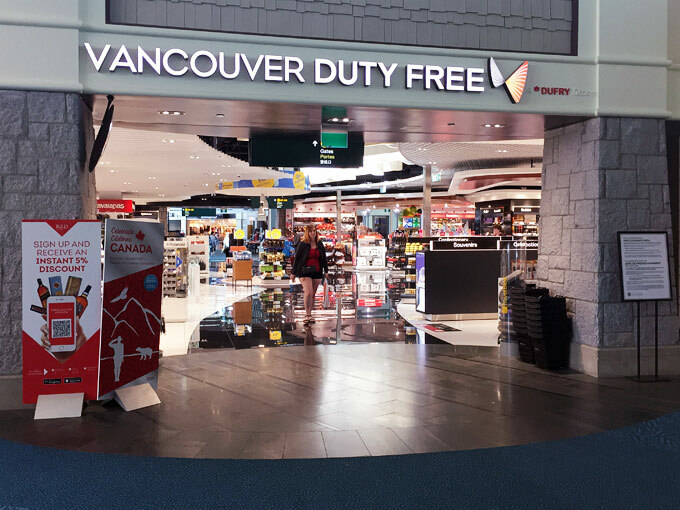 For some duty free shopping, check out Vancouver Duty Free where you can find alcohol, perfume, watches, jewelry and so forth with the added benefit of paying no tax or duty. 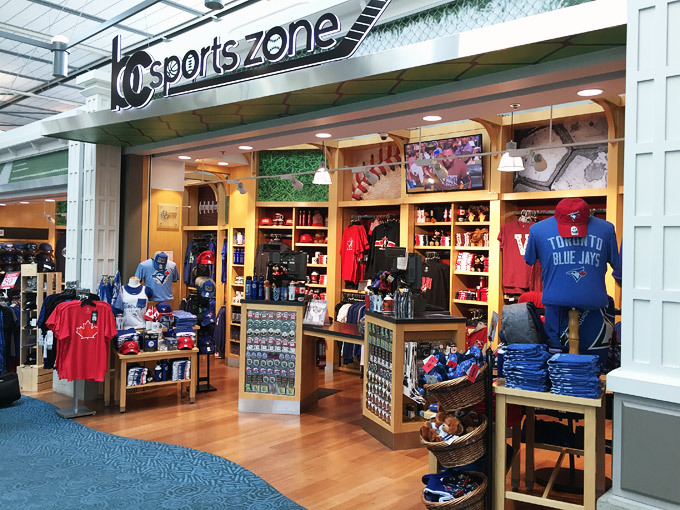 For the sports fan, you can also find a full line of official merchandise from local sports teams including the Canucks and BC Lions. There are different food vendors serving everything from burgers, banh mi, bar food and more. 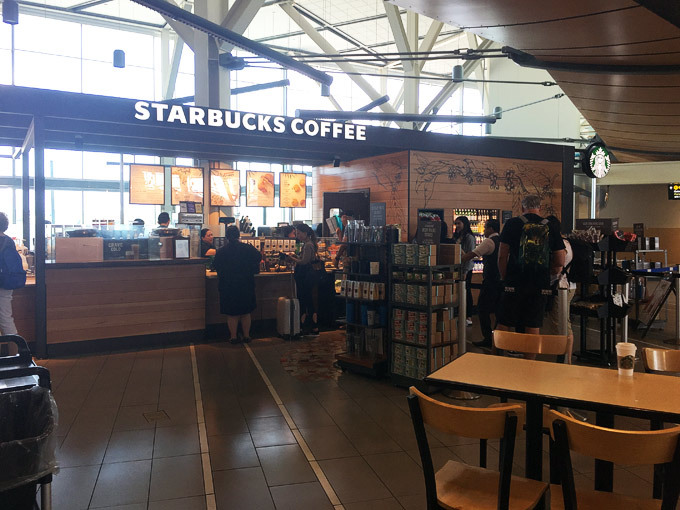 For Starbucks lovers like me, you’ll be happy to know that there is one at Pier E.
For any parents like me who prefer a peaceful flight with kids, there is a charming play area for kids to enjoy. 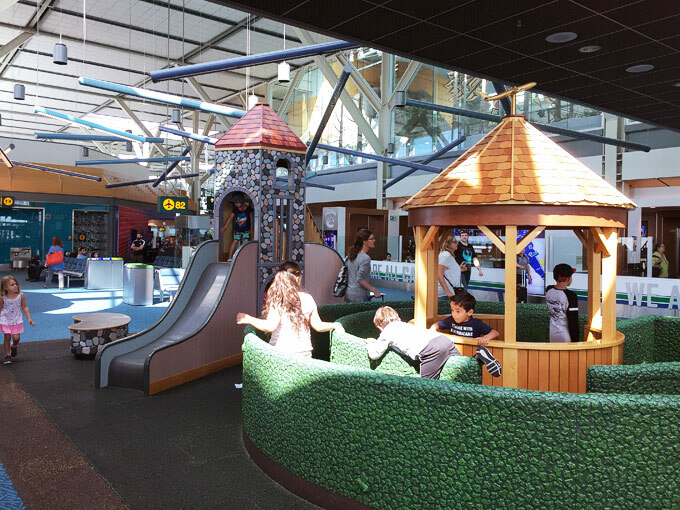 I noticed that the kids playing there had a great time and hopefully this mellowed them out for the flight! 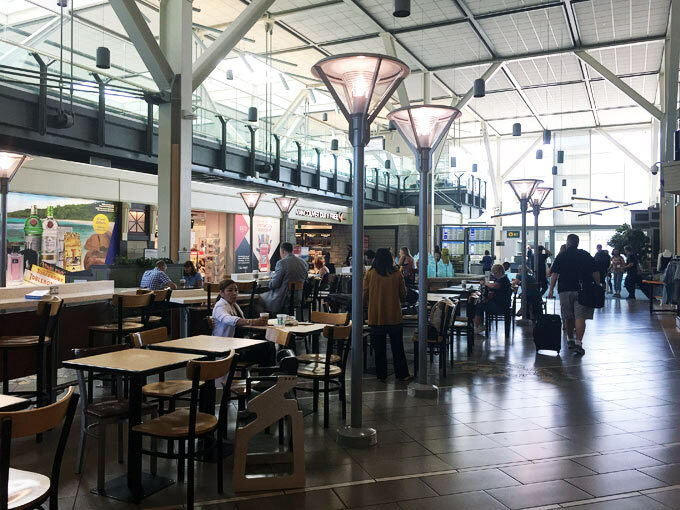 YVR offers free Wi-Fi throughout the airport. 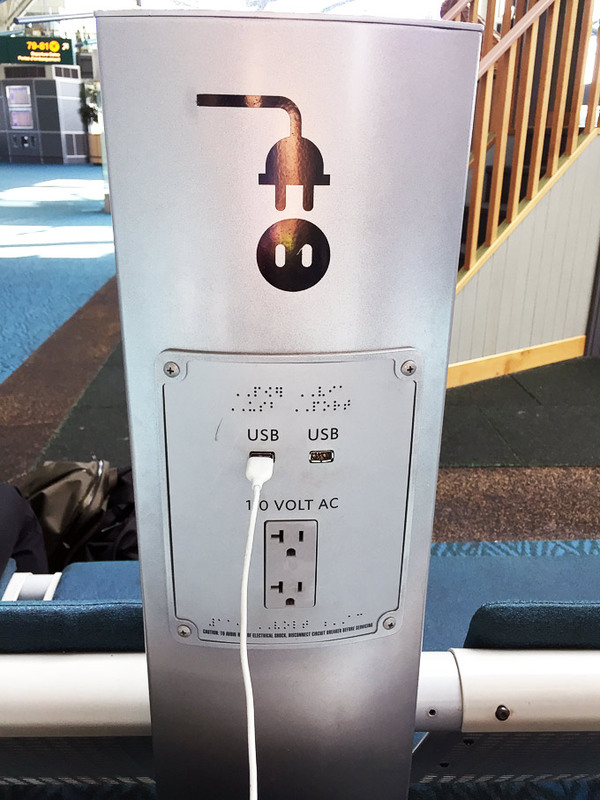 If you need to charge your device, there are a few USB charging stations in the waiting areas. 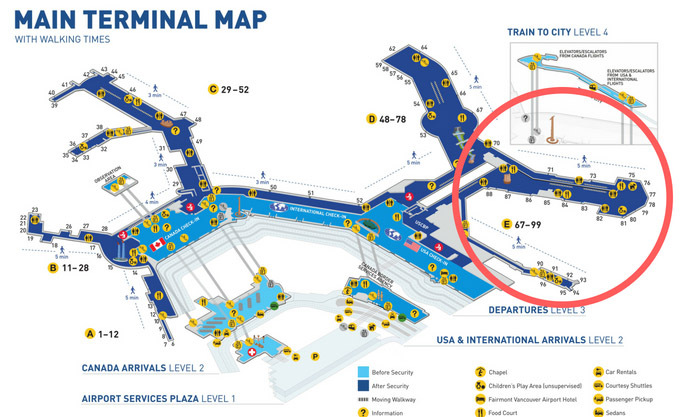 *However,* I noticed that many of the USB ports were broken. 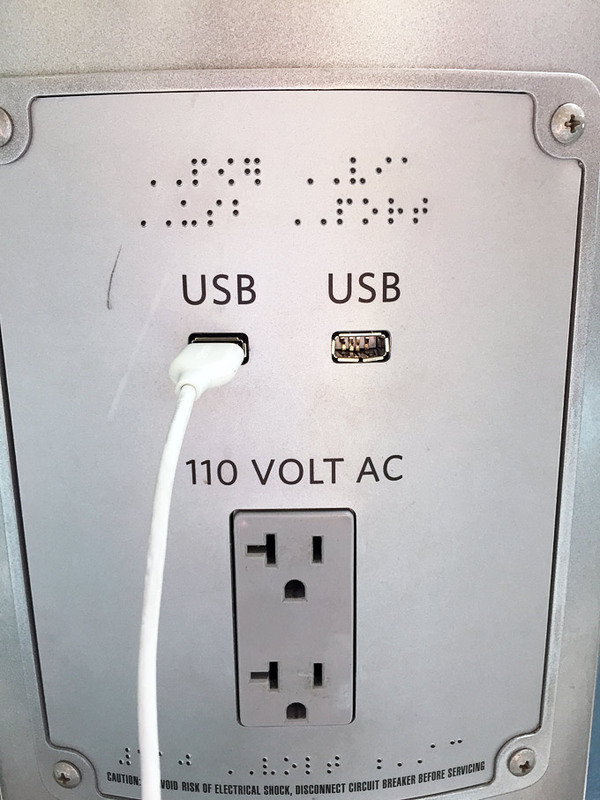 I went to four stations before finding an unused, functional USB port. See my photo below where the port on the right is broken. 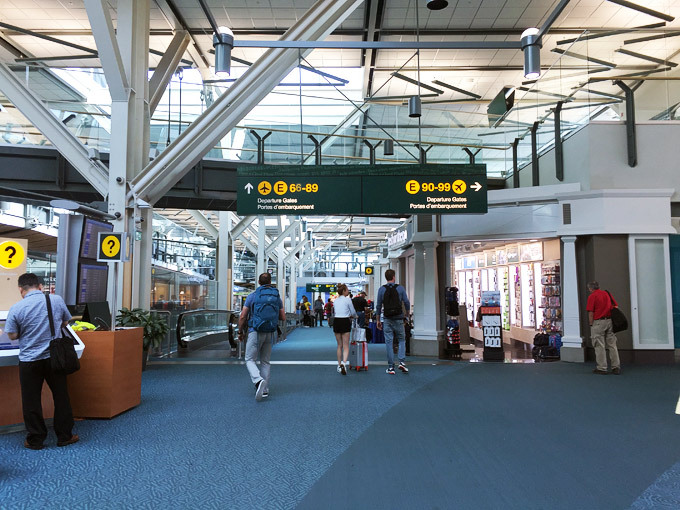 Hopefully, this overview has showed you what to expect at Pier E of YVR. Happy travels!